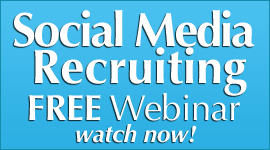 MLM Recruiting- Are YOU Making this HUGE Recruiting Mistake? 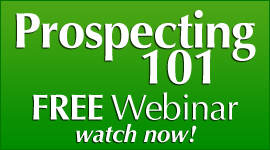 How would you like to take your mlm recruiting and prospecting through the ROOF? What would it mean to your business if you could TRIPLE your recruiting ratio- OVERNIGHT? Yes, you read that right. You can take your recruiting in network marketing to the moon by one simple tweak in your efforts. 1. Stopping people from listening any further. 2. Making people upset and not willing to even entertain the possibility of working with you. 3. 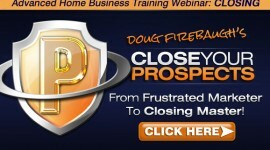 Forcing your home business prospect to make a decision based on emotion and not facts. 4. Creating an environment that encourages the word NO and not the word YES. 5. Making you look like a foolish amateur and then amplifying that result. Not a pretty picture for your multi level marketing huh? I have seen a lot of good people that have tried to recruit and just absolutely blow it because they were making this huge mistake. I made it and you probably are as well. I can tell you that I have made just about every mistake in the book and not proud of it. But I hung in there and finally got it to work. But this only happened after I made the decision to fix what was broken and stop making stupid mistakes as I had been. What does a million dollar mistake cost you? And it cost me more than that. And it may be costing you more then that as well. I figured out something that really rocked my world as well as rocked my business. I figured out that I needed to stop DOING something. And I did. Cold turkey. And you need to as well. What was it that I stopped cold turkey? I stopped mlm recruiting cold turkey. I refused to do it anymore as that had become a thorn in my side, as the Apostle Paul would say. YOU HAVE GOT TO BE KIDDING you say! Nope. I quit recruiting and never looked back. Ok…why did I quit network marketing recruiting? It was not working. And I changed it and it started working. Hello. I quit recruiting….and started HELPING PEOPLE. 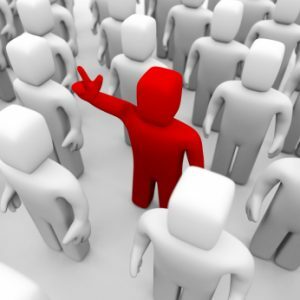 Your whole Presence changes in your mlm recruiting efforts and people will sense about you that you are that to HELP not TAKE. These are POWER Phrases that are MAGNETIC and do not come across like you are there to recruit them- but HELP THEM do in their life what they have not been able to do. I would advise you to QUIT RECRUITING in mlm and start HELPING people to explode your mlm home business recruiting success. Are you looking to build a network marketing mlm team that STICKS and does not go away? Would you be open to learning how to build a downline online or offline that GROWS and does not GO away? Many people today in the home business network marketing arena do not build teams correctly. They build downlines that are shaky and not solid. And a shaky downline is at risk to going somewhere else if you are not careful. I believe that building a team online still must have some offline time. I have watched mlm teams that are built soley online that never really lasted. The goal of building an mlm downline is to BUILD IT ONCE and not over and over as so many home business professionals seem to do. But it will require looking for the right people on your team. The reasons that distributors build their downline over and over are many. But the biggest reason is that most network marketing distributors are too focused on “the next recruit” versus BUILDING the NEXT SUPERSTAR. Did you get what I just wrote? If you are looking for the next recruit or looking for the NEXT SUPERSTAR in your team and working with them. What you focus on Building IN your team- ends up being ON your team. How do you locate the future superstars in your home based business? 1. New recruits that are VISIBLE and VOCAL. Many future superstars are Visible and Vocal and want you to know that they are now a part of the team. I am not saying they have to run their mouth. I am saying they are on every webinar and conference call with a guest, and letting you know they are on. They want you to know you can count on them for guests and building. 2. New recruits that are CALLING YOU. Future superstars do not wait on much. They just pull the trigger and GO. They call you and ask questions as well as ask for your help. They call you to let you know of the success they are having. They call you to let you know that they are available to help if you need them. And they call you to talk to prospects they have already talked with. In your mlm downline, this is GOLD. 3. New recruits that are sponsoring more than the average number monthly. These are your workhorses. They sponsor more than the average, and do it every month. Your job is to work with those they have sponsored and get them in the training system quickly. Do not let their new recruits go untrained. Your new recruit may be training them. Make sure they are and working with them online and offline. 4. New recruits whose Success is being talked about by others on the team. This is always a great indicator of the next future superstar- people talking about what they are doing in your downline. If you hear about someone – give them a call and congratulate them for their success and thank them for their efforts. Or you can text them, facebook them, twitter them, or whatever means of communication you see as right. 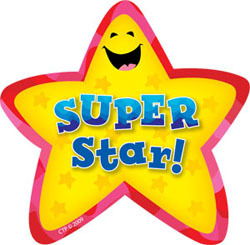 Pay attention to them and call them “Superstar” to let them know they are headed that way. Call out what you want to see in your group and let your people hear it. They will respond accordingly. These are 4 powerful mlm downline building tips that will help increase and accelerate your building of your home business mlm downline. 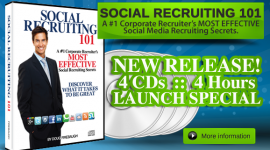 Mobile Recruiting- recruit 5 people a day from your phone! READ THIS. 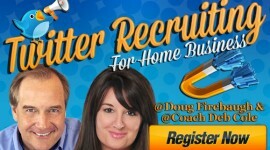 Have you ever wondered what the REAL mlm recruiting tips are that REALLY work when you are with someone? Are you willing to keep your mind open and GROW a little here? 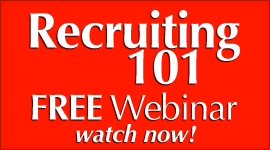 These 11 recruiting tips are GOLD as they Will tell you what you will NOT learn elsewhere, and yes, online recruiting is great. 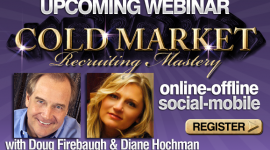 But Offline recruiting is getting to be HOT again, so here are some tips that I KNOW will help dramatically improve your online and offline recruiting in your network marketing home business. I have found that many times, we have a tendency to cross our arms, as well as our hands, or even cross our legs, because we are nervous and often come across as guarded. Folks, it sends a totally wrong silent message to the prospect that is sitting in front of you.. It makes the prospect more guarded and often more nervous.Whatever you do, keep your limbs open and a smile on your face, and tell the prospect silently but powerfully that you are glad they are there. If you have put someone in the funnel online, and then get them on the phone, when someone is a slow talker, slow down your talking a bit. But on the other hand, if they are a more rapidfire talker, speed yours up a little bit. This is what is called “mirroring” the prospect, and draws them towards you quickly and quietly. Psychologically, matching their pace of speech feels ten times more comfortable to the prospect in your MLM recruiting efforts. Here is a tip: When you are calling someone, keep the name of the prospect you are calling written down on a card. And have that card – and NOTHING ELSE – sitting in front of you. And as you talk with them then take notes of what they are saying, so you can remember. If you are making a call, and see only one name to call in front of you, you will not get overwhelmed with a long list of numbers sitting in front of you. Plus you will be solely and totally focused on the mlm prospect. You can also use your computer as well to do this. It is a great way to keep on track and improve your recall of the talk. When doing a public presentation, many times we have a tendency to focus more on the presentation, than the prospect. You can keep the prospect “with you” by one little secret: Look in their eyes when you are talking, no matter how large the group is. And then move on to the next person in front of you and talk to them, looking into their eyes as well. Touch everyone you can with your eyes if at all possible. Here is a Million Dollar Secret: Hold a conversation WITH the crowd, don’t just do a presentation. TO the crowd. Nothing in the world keeps the audience more focused than calling out their names in a Network Marketing recruiting presentation. 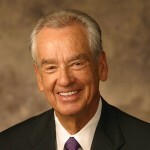 The prospects will all take notice and sit up and be especially attentive, as they realize that ….you may call on them! This even works ONLINE as you read the name of the attendees. This little tip keeps the crowd focused, and more importantly–listening- for THEIR OWN name to be called out and recognized in front of the whole crowd. You may not be aware you are doing this–but any kind of Negatives -spoken or unspoken from you -will quickly and absolutely shut down a prospect. Many home business professionals do it. Here is a secret: Stay UP, Stay Totally Optimistic, and always answer about how things are in your life: GREAT! Remember: The prospect has his/her own life challenges, and has come there looking for powerful life changing solutions, not more problems. Hello. “Here is what I said for years- and I made over 100,000 phone calls: The reason I am calling…” It is a very powerful, professional and super clarifying phrase. Another great phrase is: “The reason I brought this up…” It is a great statement to transition someone into more of a recruiting focused conversation. “The reason I wanted to share this with you is I have run across something that truly is amazing” is one of the greatest ways to come totally from a place of help and service. Understand the psychology behind this rule. If the call or conversation goes longer than 15 minutes, you are quietly sending the signal that it takes a lot of time and a lot of words to do this business. You MUST show respect for their time, and make yourself as well a lot more productive when recruiting. Set another time to call them back if they show an interest. And here is another secret: No matter what–Don’t come across as you are NEEDY and you just happen to have a lot of time on your hands. Come across as VERY BUSY, VERY ENGAGED, and you have other calls to more people to make. If an appointment or presentation goes past 45 minutes,, you are saying to the prospect that it takes a TON of time and EFFORT to succeeed in thus business. I personally never had an appointment EVER go past 30 minutes and rarely 20. I made them value MY TIME as well as theirs. Even if they wanted to enroll right them and there, I always asked for more time with the prospect. “I would love to fill out the paper work and get you enrolled…but I am going to have to take a few more minutes to get that dine…is that ok?” If you show that you value their time, they will totally value your presentation. I have a question for you: If you were shopping for a new pair of shoes, would you ever buy a pair of shoes if you saw no value in them? Of course not as it would be a waste of money. NOTE: The home business prospect will not take action either without seeing VALUE in your offer. Put VALUE Front and Center: “How this brings a lot of Value to you is…” “What this truly means to you and your family is….” “How this business will improve your life and income is…” “The Value to your family’ future and lifestyle would be…” Use what we call “Value Building Phrases” in every presentation and conversation- online of offline. Million Dollar Tip for working offline: There are more number of prospects in one offline Networking meeting at the Chamber of Commerce meeting then 25 movies you will ever take the time to go see. You MUST take the time to fish where the whales are, not where the minnows swims and plays. It is just common sense: recruiting smaller minnows is easier and they can make great wholesale customers. But lets get REAL: Big Enormous Whales don’t get tossed and lost with every daily change of the tide. 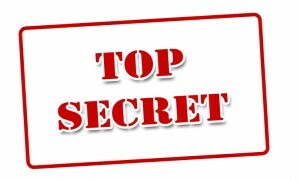 Million Dollar Recruiting Secret: All recruiting is and ever will be, is connecting the prospects focus and heart to the Hope and Possibility that they CAN live and enjoy the lifestyle they have always dreamed of for them and their family. Your job is to help them create it with your Network Marketing products and company. It is that simple. These are 11 MLM Recruiting Tips that I believe will help you in your MLM Home business team building efforts. LinkedIn Recruiting- 2 professionals a DAY? HOW? Mobile Recruiting: Recruit 5 people a Day from your Phone. HOW? An MLM Training Blog is one of the most powerful things you can have today in your home business mlm. No one will ever argue that point. An mlm training blog is a great calling card, a great way to build relationships online, as well as build trust and credibility. Many network marketing professionals have blogs they write on daily. Many have several blogs, like we do. We right now I believe have 5 blogs that we work. I believe that an MLM training Blog is one of the most powerful tools for getting your message out there is. But many home business professionals do not get much bang for their effort with their blog. There are many reasons, but one of the most powerful reasons is that they are not using it correctly and do not have it structured correctly. 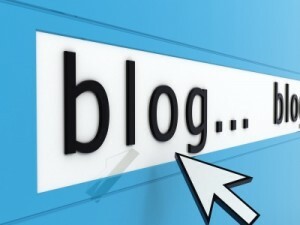 There are many different free blog softwares out there, from blogger.com to wordpress.com. We use wordpress, but we use the templates from wordpress.org. We have found that it suits our needs better and also is more flexible with themes, and SEO purposes. Are you using a FREE version of a blog? There are limitations if you have an MLM training blog. I would suggest if you do not know how to install a wordpress theme from wordpress.org- LEARN. There are many videos that can train you on youtube as well as wordpress.org site. It will mean more traffic to you in the long run as well as the short term if you structure it right. There are 5 things an MLM Training Blog should have if you are ever going to go above the radar on google, bing, or yahoo. And I would suggest that you consider these when you are looking to either develop or change your mlm training blog. 1. Powerful and UNIQUE Content that teaches WHAT and HOW. An mlm training blog should contain posts that teach WHAT to do. This is imperative. But there needs to be a ‘One Two Punch.” You need to show the HOW as well– step by step. Prospects for your mlm training blog are not looking to be informed of news – but TAUGHT HOW to do something. Teach them what they are looking for and your traffic will increase dramatically. 2. Eye Appealing IMAGES and PICTURES. I call it “Eyeball PULLING Eye Candy.” This alone will gret people to take notice of your blog. If you go to our PassionFire site, you will find a LOT of Eyeball Pulling Images that force you to look at it. Get some powerful eye catching images on your blog. 3. Accessible Content via Text and Videos. Any mlm training blog should have writing but it is IMPERATIVE to have VIDEOS. People LOVE to watch training, not just read it. Make sure that you have video training and lots of it. Get a small computer video camera, and then start training on your laptop. Windows has a built in software for that. 4. Good Search Engine Optimization. I have to admit- I LOVE SEO. I am not sure why- but i just love to learn it and engage it. Our tech I have learned a lot from, but also reading and researching on the internet. You want the search engines to find your mlm training blog- make sure you have keywords in your title and article, as well as links that are pointing back to it from article directory sites and blog directories. Also make sure that you have submitted your blog to all the search engines. Use www.pingler.com for that. 5. A NEW POST DAILY. One of the things google loves is NEW content DAILY. Write a post everyday on your MLM training blog. If you do you will ge tthe search engines attention as well as their love. An MLM training blog has many uses, but I believe that it can ENLARGE your home business quickly. I would suggest that if you do not have an MLM training blog, GET ONE for your mlm network marketing home business. 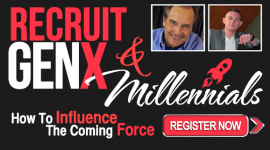 Recruit 2 people a day on LinkedIN! How? What is DRIVING the Words Behind Your Recruiting?